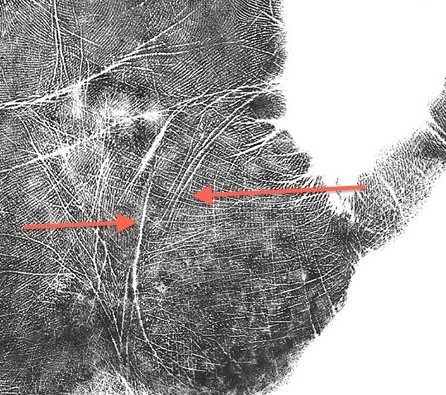 The Life Line is a major line that is carved on the inside of the hand around the Mount of Venus at the base of the Thumb. The length, shape, and quality of the Life Line are associated with the state of the physical body, and with awareness of and attention to the physical world. Let me put one myth to rest: the length of the Life Line does not predict the length of one’s life. It does, however, show concerns about protection and preservation of the body. The Life Line is also called the Line of Earth. It is considered the line of family and tribe because we build our physical constitutions within our tribes. As humans, we look to our communities for support and safety. If we feel safe in our clans, our core energy systems are more likely to be in balance. If your Life Line is short, delicate, or scattered, you have difficulty resting. Your personal anchor and grounding system has been compromised. Because you’re accustomed to living in a routine of “flight,” you may not recognize these patterns as you read about them for the first time. For example, your work or family life may involve your driving from one place to another and another. You might feel as though you’re constantly scrambling to get your life in order. You may think, “There’s not enough time to get it all done!” Core survival issues such as paying the rent, not losing your job, and having enough food, remain strong considerations in your life and family. At worst, a sense of support from family is severely lacking, which creates a lack of trust in the tribal system. If your tribal system is at risk, you are more likely to doubt your role and value in society, asking, “Do I belong here?” Doubt of one’s role in the community can cause anxiety and internal tension that, in turn, produce a strong urge to create safety for oneself and others. When this is recognized and more clearly understood, one can begin to implement change, increasing stability instead of insecurity. If you have this type of Life Line, create and implement a plan for poise, routine, and balance on a regular basis. A significant interruption is clearly shown in the Life Line, which is composed of two separate and overlapping segments. The inside, upper segment is frayed and scattered. 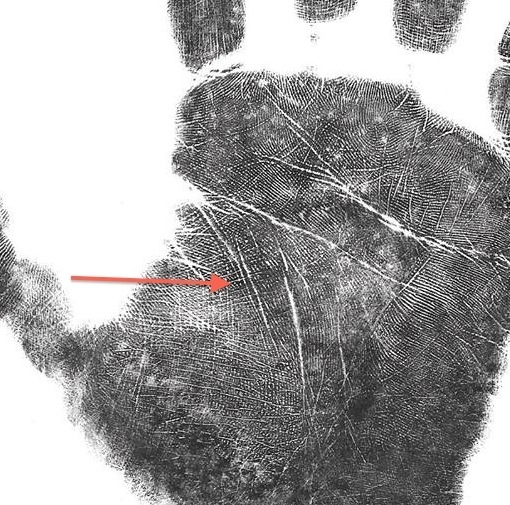 A secondary Life Line, toward the center of the palm, continues toward the wrist. Before I know it, I’m rationalizing starting the day earlier and earlier and ending later and later. I’m working fourteen-hour days as an average. There is a constant and never-ending continuation of tasks leading to my insanity. I’ve learned to see my big jobs as smaller jobs. I break large chunks of responsibility and work into smaller chunks. I can breathe easier as I settle down with bite-sized jobs. A person with a weak (short, broken, frayed, or unclear) Life Line constantly seeks stability because of a sense of being out of balance. A sense of urgency arises from the thought that there is not enough time to live fully. There is an impulse to live a high-quality life before it’s too late. When the owner of a weak Life Line becomes aware of this challenge and makes a determined effort to overcome it through grounding activities, she can set her anchor and feel more stable. Examples of grounding activities include walking, yoga, working regular hours, getting enough sleep, eating healthy foods, looking out the window to watch nature in action, and simply breathing. Creating a sacred garden on the patio or painting the walls in earth colors will bring the sense of balance and harmony to a fidgety nervous system. Weak Life Line Positive: You’re on heightened alert, attentive to getting many things accomplished, with opportunities to rebuild. Weak Life Line Negative: You’re susceptible to burn out when you do too much (too much is defined by you, not the world); feeling out of balance and depleted.